Kim Ki-duk is one of the filmmakers who initially drew me to Korean cinema. The first film of his I saw was The Isle (2000), which was, in a French edition, packaged together with Lee Chang-dong’s Peppermint Candy (1999). While the films may have been very different they were also a fantastic double bill that complemented each other in many ways. I wasn’t as shocked by the violence as I may have been because I had already seen Park Chan-wook’s Sympathy for Mr. Vengeance (2002) and before dipping into Korean cinema, had more or less exhausted Takashi Miike’s catalogue up until that point (around 2003). Park’s film, while harrowing, was a pure piece of cinema brimming with adrenaline and the pure pleasure of filmmaking. Lee’s poignant drama was elegant, realistic, literary, and propelled by social issues and recent Korean history. Kim’s effort was slow and laconic, it was violent while at the same time elegiac. The Isle had an artist’s touch and was unlike anything I’d seen before, just as the previous two films were. Indeed I was very lucky to have selected the three Korean films that I did as my introduction to the nation’s cinema, the hooks were in deep from the start. There were a few traits I noticed in The Isle that come up again and again in Kim’s filmography, which I quickly sought out (though I have yet to see Address Unknown, 2001, and Birdcage Inn, 1998). The first was his preference for mute (or almost mute) protagonists. 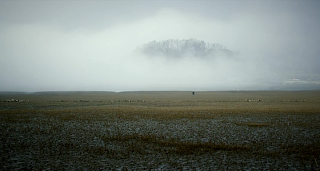 Being that Sympathy for Mr. Vengeance was my first Korean film and that The Isle was my third, it certainly seemed to me as though I had stumbled on a typically Korean trait. Besides a large quantity of Kim’s films, there are numerous mutes in Korean cinema, including but my no means limited to: The Way Home (2002), Sad Movie (2005), and No Mercy for the Rude (2006). The phenomenon is so prevalent that it is deserving of its own piece, which I intend to write in the light of the staggering success of Silenced (aka The Crucible/Dogani). The second trait, which sadly is unavoidable, is his prevalent misogyny. The horrific violence perpetrated against his female victims is shocking. Some say that he demonstrates certain actions to make a point and show a patriarchal society for what it is but it is not just the actions inflicted on women in Kim’s films that concern me. What bothers me more is the way they are portrayed: they are frequently submissive, which is understandable in certain situations, but are also frequently shown as ignorant, petty, and self-serving. This applies to many of his female characters and it goes beyond artistic choice and deliberate representation. It appears to be innate and as much as I admire and respect Kim Ki-duk as a filmmaker, I can’t help but see him as a sexist and this can cause problems for me when I view his work. Then again Hitchcock was a notorious misogynist and I unabashedly love his films. So after this rather long preamble I would like to discuss the first film to be released in Korea with his name attached to it after his three-year hiatus. Poongsan was written by Kim but it was directed by Juhn Jai-hong. Although unlike his previous protégé’s films, like Jang Hoon’s Rough Cut (2008) and Jang Chul-soo’s Bedevilled (2010), which were firmly stamped with those emerging cineastes’ talents, this is definitely a Kim Ki-duk film. Poongsan is the name of a brand of cigarettes and it is also used to identify a mysterious individual (Yoon Kye-sang) who transports items across the DMZ with extraordinary athleticism in the face of great danger. He brings messages and items to and fro between separated families (they are pinned on a wall for him to see), but he nevers utters a word and it is hard to understand his motivations. The National Intelligence Service (NIS, the Korean FBI) gets wind of his operation and enlists his services to bring back the wife (Kim Gyoo-ri) of a prominent defector (Kim Jong-soo) who is cooperating with them. He indicates that he’ll bring her back in three hours. He finds her but she is initially reluctant to trust him and causes problems on the way back across the border. After she is reunited with her husband, Poongsan is apprehended. What ensues is both a strange story of attraction, and a thrilling cat and mouse game between Poongsan, the NIS, and the North Korean spies who get involved later. Early on the film succeeds in hooking us by leaving us with many unanswered questions but its elliptical nature and reliance on imagery and metaphor add complications. It’s difficult to say exactly what kind of a film this is. It’s an arthouse flick but it also features action scenes and espionage, it’s comes down to the viewer’s taste as to whether this succeeds. I was able to let it go, just about, but it did make the film uneven. One of the metaphors that I’ve already mentioned is the main character’s silence. He doesn’t seem to be a mute, he’s just decided not to talk. The question is why? People on both sides of the border ask him what side he’s on, and since he travels back and forth a lot, perhaps he feels that instead of pandering to one ideology or the other, it is less complicated to forgo communication altogether. At least this way he can be trusted, as everyone in the film seems to do without any hesitation. He is also a wandering male without a home, a man so thoroughly displaced by the separation of Korea that he cannot help but incessantly travel back and forth across its fortified border. He does so easily and brazenly, he does not recognize it, perhaps for him, it isn’t even there. As far as its portrayal of ideology goes, the film takes a hard line and paints everything in stark black and white. The NIS is shown as being paranoid and tyrannical, the same way that other South Korean films portray North Korean agents. In effect Kim seems to have created the Poongsan character as a surrogate for himself, he does not ascribe to one idea or the other and all he sees is each side’s hypocrisy and dishonesty. The defector’s ideology is also brought into question, like Poongsan he has crossed lines. He has done so by switching his allegiance from the North to the South, but unlike him he is caricatured as a tyrant, he is shallow, petty, jealous, violent, and authoritative. Ultimately his ideology comes in second place to his greed and ego, which quickly transcend it. Chaos abounds out of a desire for rigid structure from both sides. The perpetual cat and mouse game played by the North and the South is disturbed and brought to a quicker, and thus uncharted, conclusion when an unknown element doesn’t fit into their equally dogmatic codes. Poongsan does not seem to have a side but perhaps the unquantifiable aspect is not his political non-affiliation but the love that blossoms between him and the defector’s wife, which all the other characters seem fascinated by and try to use to their own advantage, with disastrous consequences. The third act goes to great lengths to ridicule the NIS and the North Korean agents by exposing their hypocrisy and pitting them against one another. Unfortunately, this only happens at the expense of the main thrust of the narrative. A risky move but it delivers a solid finish due to some well thought-out and unexpected narrative machinations. Kim Ki-duk is a man of few words but he takes many liberties with logic and the dissemination of information which is the film’s greatest drawback. Poongsan is a flawed film, but it is also clever and fascinating, it invites you to draw your own conclusions. A very strong comeback, though I still can’t get excited about Arirang or Amen, though I’m sure I'll see them when I get the chance.